If you know anything about Bruce Wayne/ Batman, you know he doesn’t use guns. After his parents were brutally murdered in front of him as a child he swore to never uses them to fight the evil that plagues Gotham. That being said, when DC Comics teased the first half of a special gatefold cover, (see below), fans were left contemplating just WHO could make Bruce pick up a gun? The Riddler, Two Face, the return of Ra’s A Ghul or would it be some new foe so diabolical that Bruce was left with no choice but to embrace the evil that forever changed his life. Well the wait is over and now fans can see the complete gatefold cover done by artist Greg Capullo. 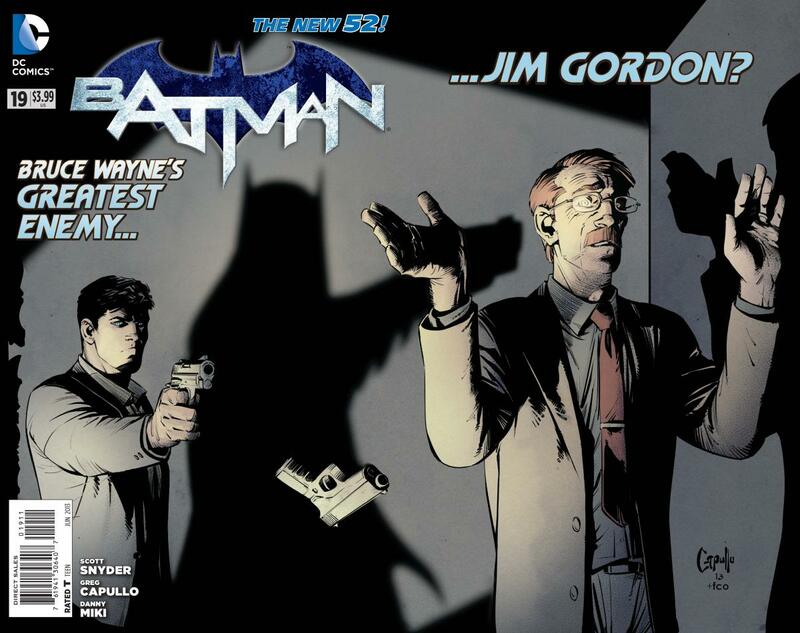 Fans will be shocked to find out it is none other than long time Batman confidant, friend and ally, Commissioner Jim Gordon! WHAT? I didn’t see THAT coming! 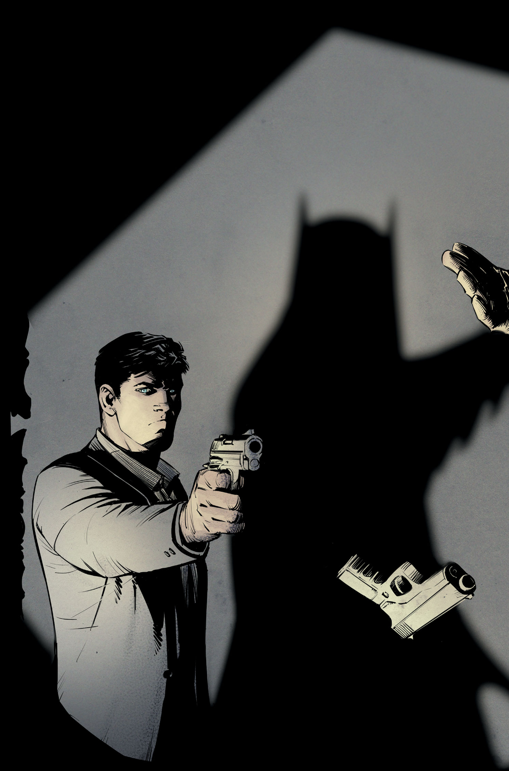 Now just what makes Bruce Wayne pick up a gun, something he has sworn to never use to fight crime, remains to be seen. With Scott Snyder at the helm, I’m sure it will be a twist that will blow us away. Head to your local comic book store on April 10th to find out why one of Batman’s greatest allies has just become his greatest enemy and caused him to go to a place Bruce could never see himself going. This entry was posted in Comic Books, DC and tagged Batman #19, DC Comics, gatefold, Gatefold cover, Greg Capullo, reveal, Scott Snyder. Bookmark the permalink.